14 NOVEMBER 2018 (TORONTO, ON) - Sarah McCoy went from playing piano and singing in hotter-than-hell New Orleans dives to appearing in-front of enthusiastic crowds in hip Paris night clubs. Now, with her Blue Note album debut, she carries on a tradition perfected by the likes of Tom Waits, Amy Winehouse, and Janis Joplin, who turned their complicated lives into dark but beautiful poetry and music. 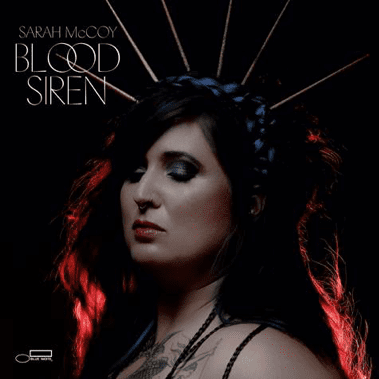 Blood Siren perfectly captures Sarah’s haunted moan, a sound that both chills and touches the heart. Producers Chilly Gonzales and Renaud Letang create a stark midnight atmosphere with Sarah on piano and guitar, touches of cello and celesta, some electronic sounds, and plenty of silence, along with a voice that sounds just as it does when she’s alone in her room.